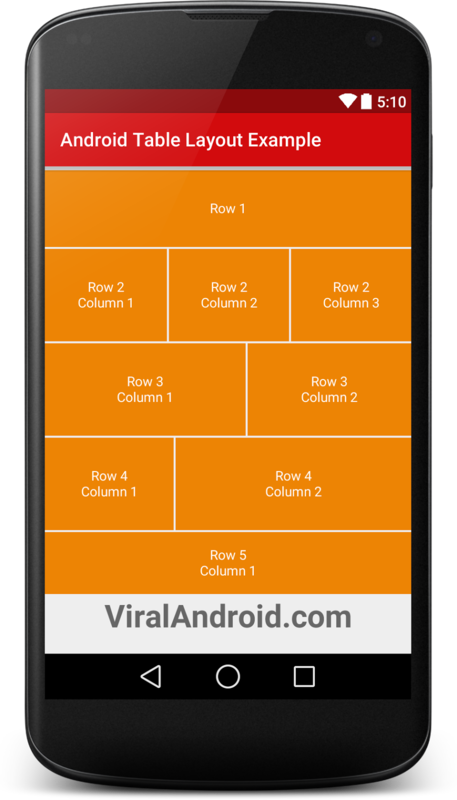 In this tutorial, I will show you to use android TableLayout to arrange and display different child view in rows and columns. To add different child view in rows and columns, we have to use TableRow inside TableLayout. TableLayout is a ViewGroup that displays different child views like TextView, ImageView, EditText, Button, etc in rows and columns. In this tutorial, I have used textview to arrange position but you can use any other views according to your wish. Following is the android table layout example code of xml layout file. Following default code of java activity file. String resource of strings.xml file.